There’s another new werewolf film on the horizon! 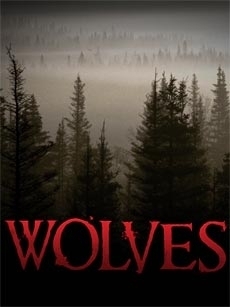 David Hayter is now shooting the film “Wolves“, which the writer/director humorously describes as “Twilight with a bit more bite to it, and without abstinence.” Check out the film details below! “Cayden Richards (Till), 18, has it all: captain of the high school football team, straight-A student, gorgeous girlfriend. But when he wakes one dark night to find his parents brutally murdered, he is horrified to realize that he is turning into an animal… a wild, savage wolf. Panicked, Cayden runs, determined to find out what is happening to him. His quest leads him to the strange, isolated town of Lupine Ridge, where two clans of wolves are on the brink of war. The opposing clans are lead by Connor, the powerful, pure-blood alpha of a savage pack (Momoa), and John Tollerman (McHattie), an old farmer, committed to protecting the human citizens of Lupine Ridge. Wolves stars Lucas Till (X-Men: First Class), Jason Momoa (Conan, “Game of Thrones”), and Merritt Patterson (The Hole, “The Selection”) along with Stephen McHattie, Kaitlyn Leeb, Simon Northwood, and John Pyper-Ferguson. Hayter is best known for writing/co-writing Watchmen, X2, The Scorpion King, and X-Men. What do you think? Does it sound like a film you’d check out?